reinforcing professional partnerships between African, Brazilian and European publishers. 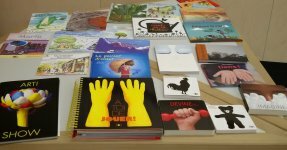 This workshop follows the workshop organized in November 2015 (Graphic design in children’s book publishing - Africa/Europe perspectives). It is supported by the Centre national du livre, the French Institute of Brazil, and the French Institute of Madagascar. All participants agreed to volunteer their services – we thank them once again.